McFarland & Company, 9781476667669, 132pp. Interest in Sabermetrics has increased dramatically in recent years as the need to better compare baseball players has intensified among managers, agents and fans, and even other players. 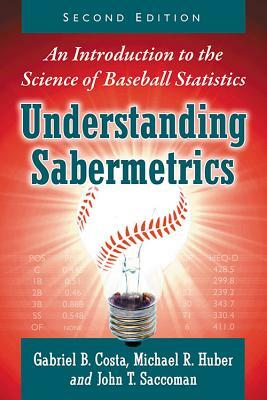 The authors explain how traditional measures--such as Earned Run Average, Slugging Percentage, and Fielding Percentage--along with new statistics--Wins Above Average, Fielding Independent Pitching, Wins Above Replacement, the Equivalence Coefficient and others--define the value of players. Actual player statistics are used in developing models, while examples and exercises are provided in each chapter. This book serves as a guide for both beginners and those who wish to be successful in fantasy leagues. SABR member Gabriel B. Costa is a catholic priest and a professor of mathematical sciences at the United States Military Academy at West Point. Michael R. Huber is a professor of mathematics at Muhlenberg College in Allentown, Pennsylvania. He has been studying sabermetrics for more than 20 years and is a member of the Society for American Baseball Research. John T. Saccoman is a professor in the department of mathematics and computer science at Seton Hall University in South Orange, New Jersey.